Buy Google Chromecast for only £20! 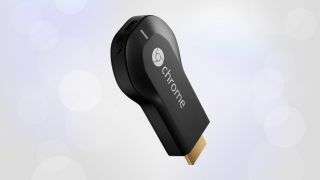 Google Chromecast is a cheap and easy way to get video from iPlayer, Netflix and YouTube onto your TV - and with today's offer, it's even better value. Buy Chromecast now for only £20 at Amazon. That's a fantastic 33% saving! SAPPHIRE AMD R9 280 Graphics Card for only £139.99 at Amazon. HMDX Jam Bluetooth Wireless Portable Speaker for only £14.97 at Amazon. Seagate Expansion 4TB External Hard Drive for only £97.99 at Amazon. Logitech UE 4000 Headphones for only £14.00 at Amazon. Samsung M3 1TB Slimline Portable Hard Drive for only £43.99 at Amazon. Lexar 32GB JumpDrive V10 USB Flash Drive for only £6.99 at eBuyer. Datawrite 16x DVD-R Full Face Inkjet Printable - 50 Pk for only £4.68 at eBuyer. V-MODA Crossfade M-100 headphones for only £159 at Amazon.